We thought the Ombré trend was long over, but it seems like the trend is making a perfect gorgeous comeback! 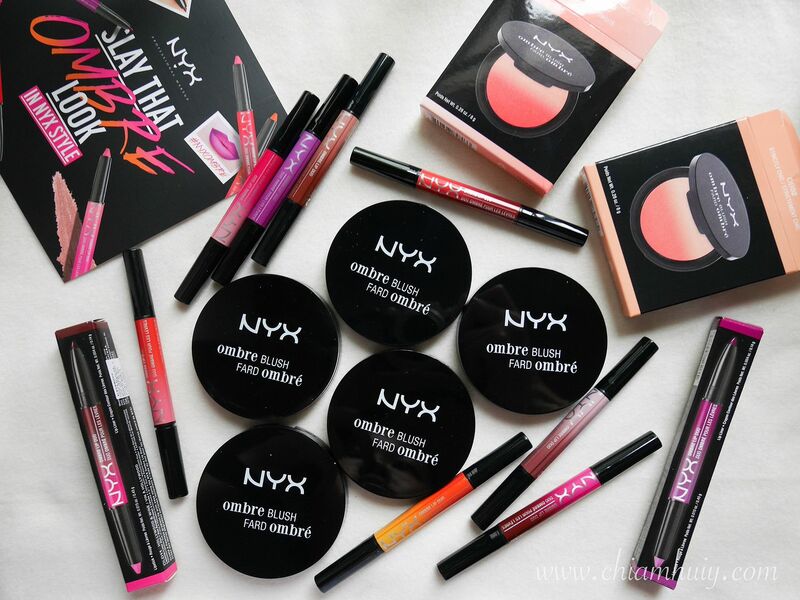 If you've been active on instagram, you would have seen quite a fair bit of beauty bloggers posting this near complete set of NYX Ombré makeup collection. 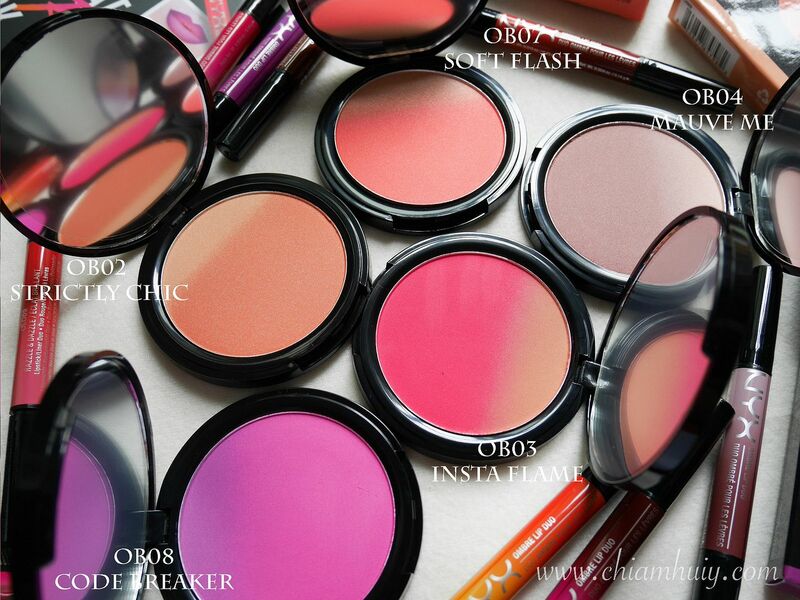 I have 5 ombré blushes and 8 ombré lip duos, and I can't wait to show them off to you! 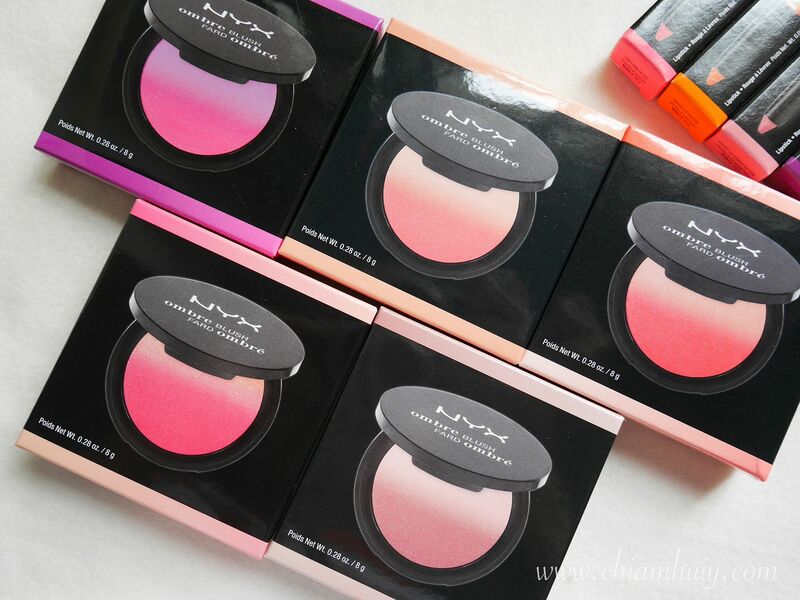 Sleek and simple design, at very affordable prices is what NYX has been leaving an impression to me. 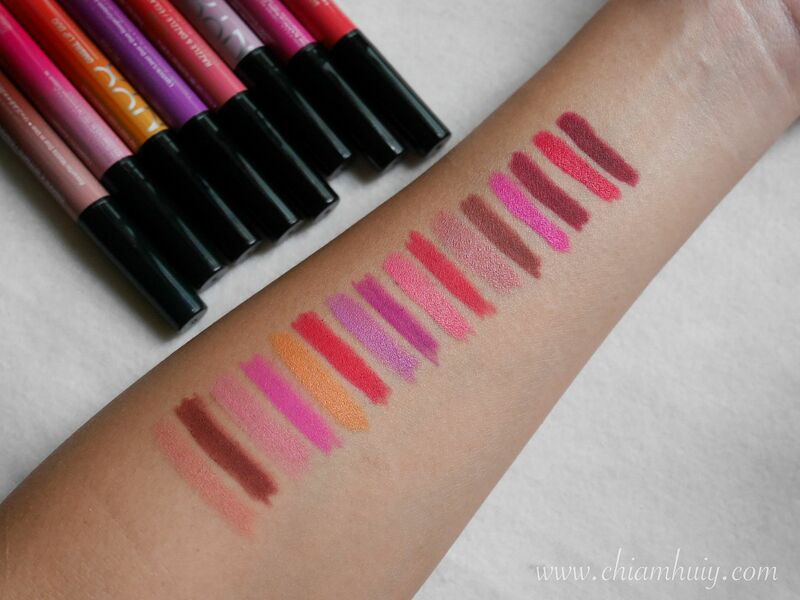 First, let's talk about the NYX Ombré Lip Duo. 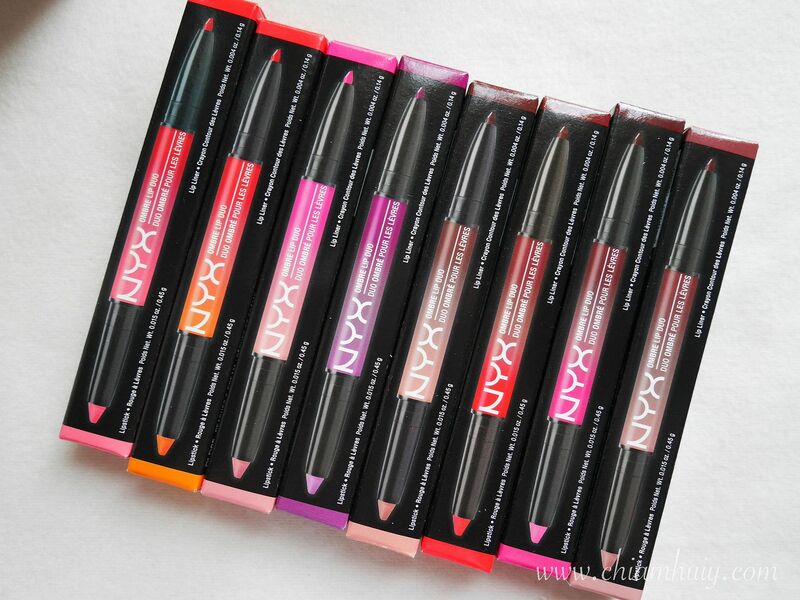 A creamy lip pencil that felt almost like crayons. 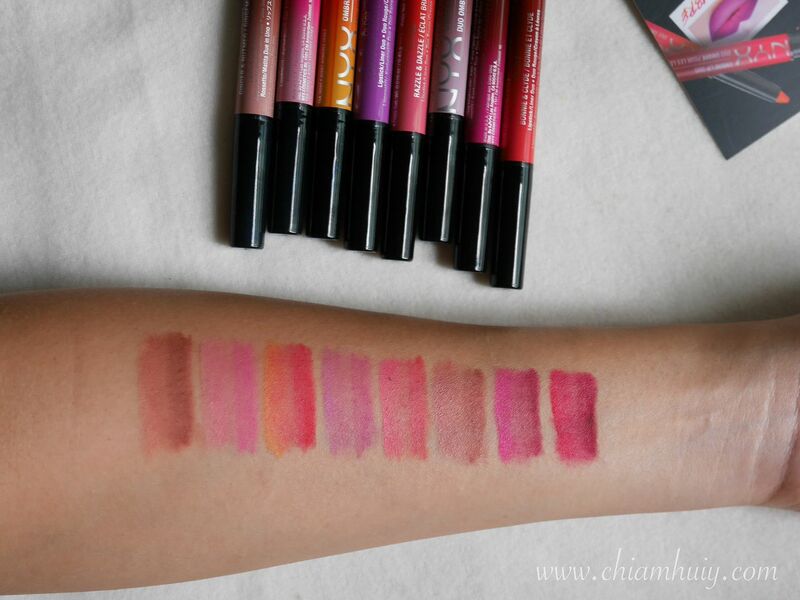 The color comes off so creamy onto my skin while I did the swatches, and the vibrancy of the color simply stole my heart. At only SGD23, I think this matt lip pencil is a good buy, considering there's two ends to the pencil too. 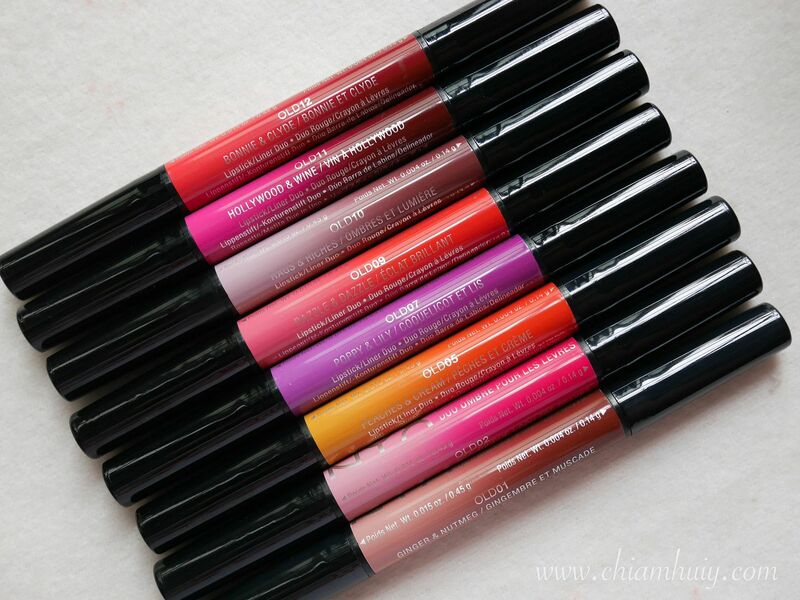 When blended together, the NYX Ombré Lip Duo will give off a very nice gradient effect for your best ombré look. The gradient here looks a little disjointed because the color has more or less settled down when I took photos of the swatches. It won't look this unnatural when you do it on the lips (provided your lips are moisturised beforehand!). 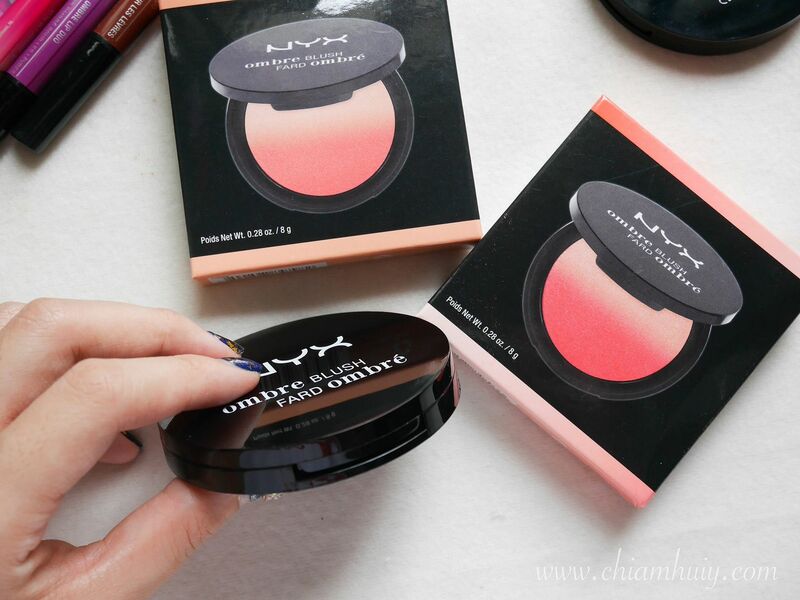 Moving on to the NYX Ombré Blushes (SGD18), which comes in a reasonably thin packaging. It also comes with in-built mirror which I love about. 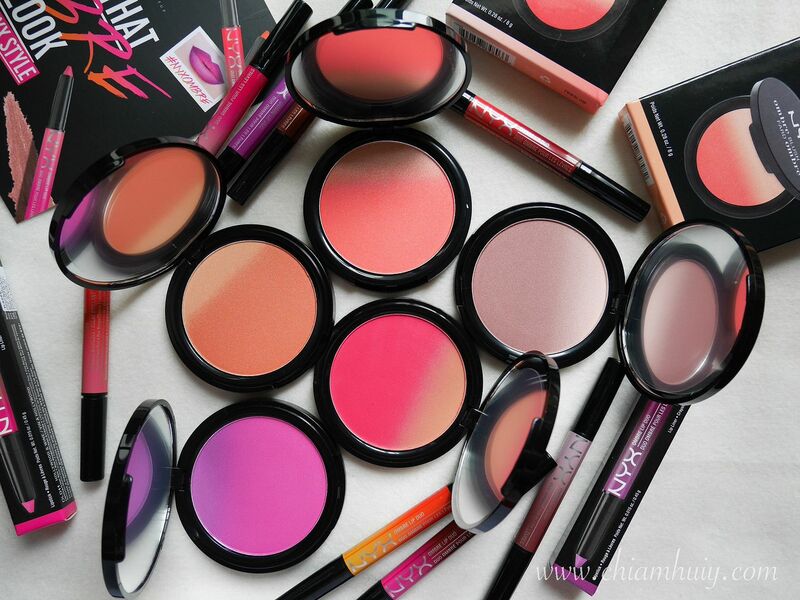 The only pity is there's no brushes, but that's also how they kept the blush as thin as possible. 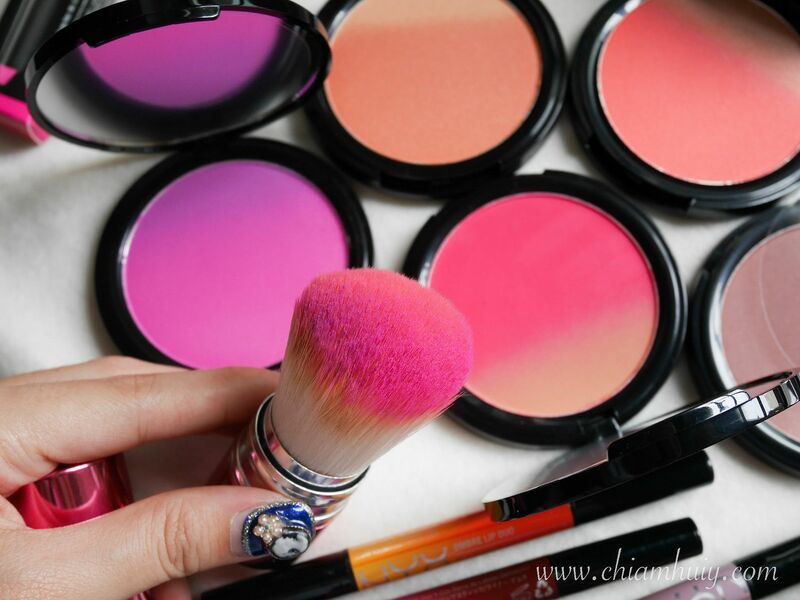 Other than that, the color still makes a decent one to keep your makeup looking fresh and alert. 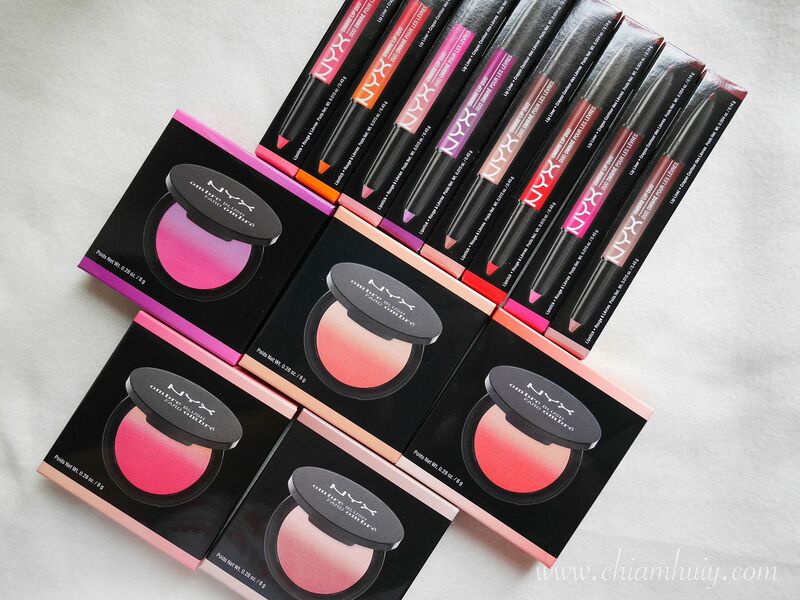 The color payoff for the blushes didn't do as well as the Lip Duos. 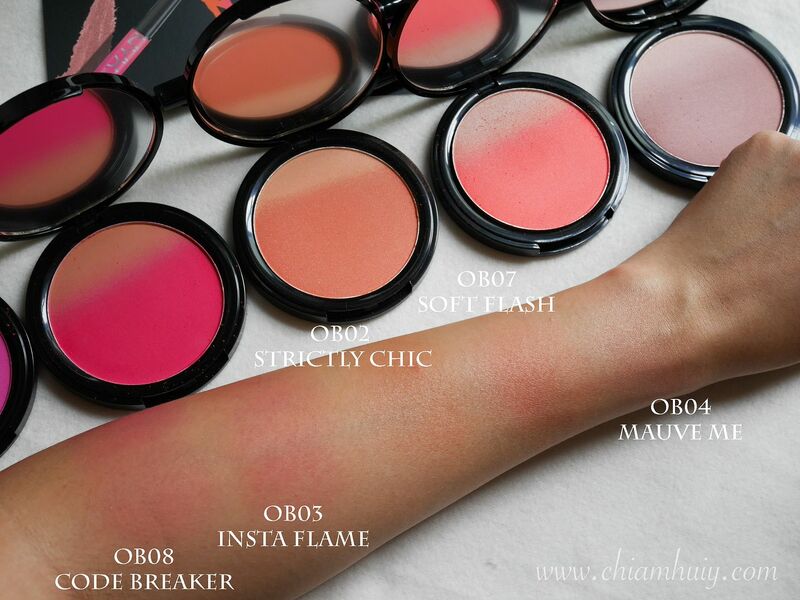 I find that I have to do at least two swipes to get near the color seen on the blush pan itself. 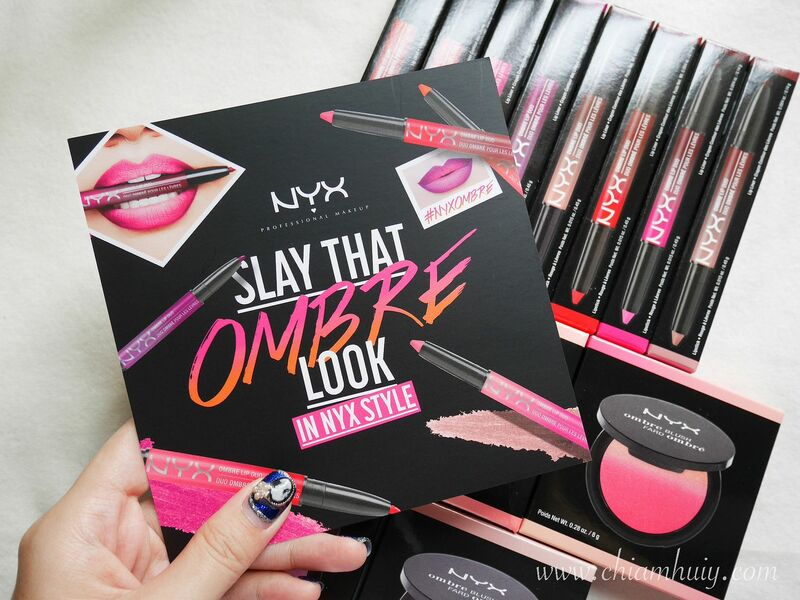 NYX Ombré makeup collection is available on SEPHORA Singapore.